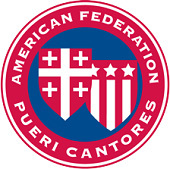 This list of Masses and Hymns suitable for use in Catholic Schools was compiled by the American Federation Pueri Cantores, a Student Choral Organization of the Catholic Church, in recognition of a corporate partnership with the National Catholic Education Association. This list is intended to assist those tasked with selecting music appropriate for Catholic school Masses and other liturgies. A brief annotated list of source books and hymnals where music for the entries may be found is included at the conclusion, with appropriate codes following each title. The titles are especially well suited for young voices, and have been used successfully in Catholic parish and school communities. These selections are easily taught, and special consideration has been given to music featuring strong melodies, coherent rhythms and forms, and meaningful and substantive texts. Note: many hymns available in these newly published hymnals are also available in older hymnals, or in public domain sources. The ICEL and Gregorian settings of the Mass Ordinary are readily available in multiple hymnals and online.